The weekends give my family and I the opportunity to have a full on breakfast. During the week the mornings are typically fast-paced so it might be a yogurt or banana on the go. When have time I prefer to cook a nice wholesome breakfast. I have this thing for egg and potatoes. I personally enjoy potatoes period. Sweet potato, hashbrowns, mashed potatoes, fried potatoes, and baked potatoes. I think my potatoes I make for breakfast are the best. They are good enough to save half the batch for a potato dinner side as well. 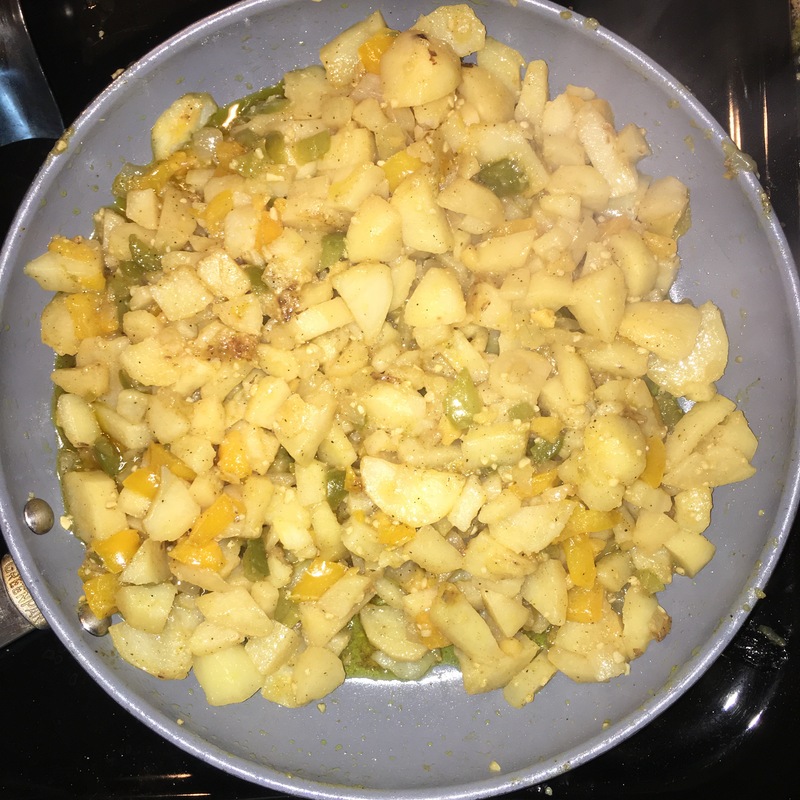 Check out my recipe for Skillet Breakfast & Dinner Potatoes. Check out previous post Oven Bag Breakfast Potatoes too! salt, pepper, paprika, Adobe all purpose seasoning, garlic powder, onion powder, and cayenne pepper (just a sprinkle). 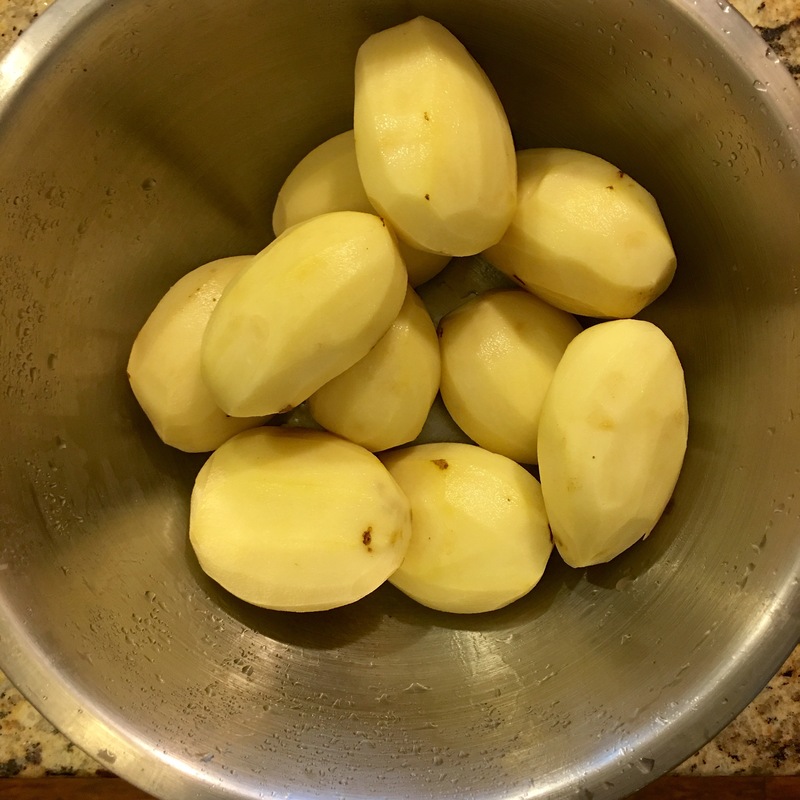 Peel potatoes and rinse thoroughly. 2. 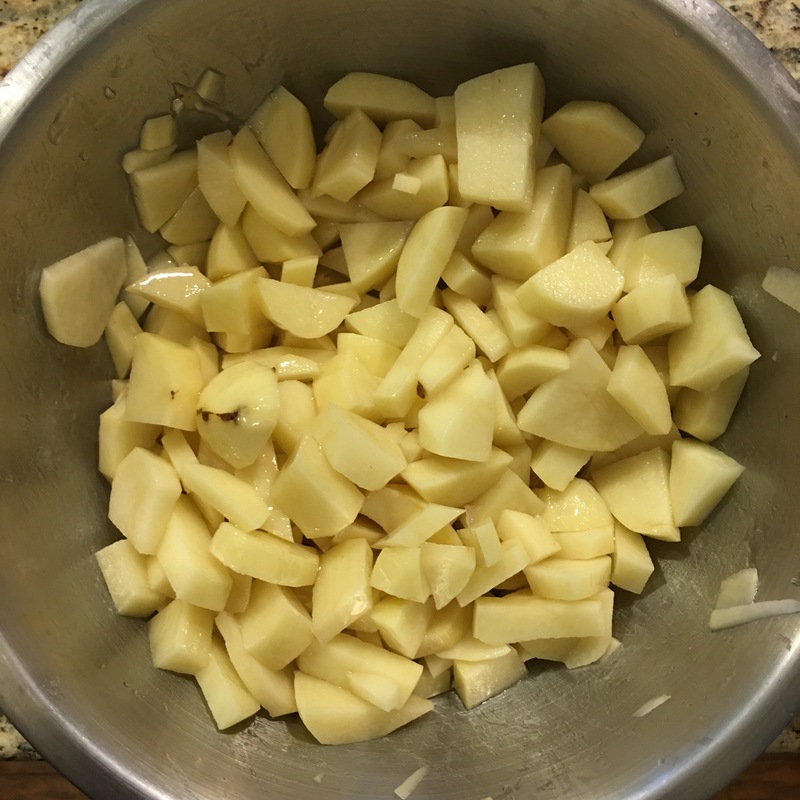 Slice potatoes and then chop in small pieces or cubes. I have no particular way I cut mine. I just ensure they are cut into small bite size pieces. 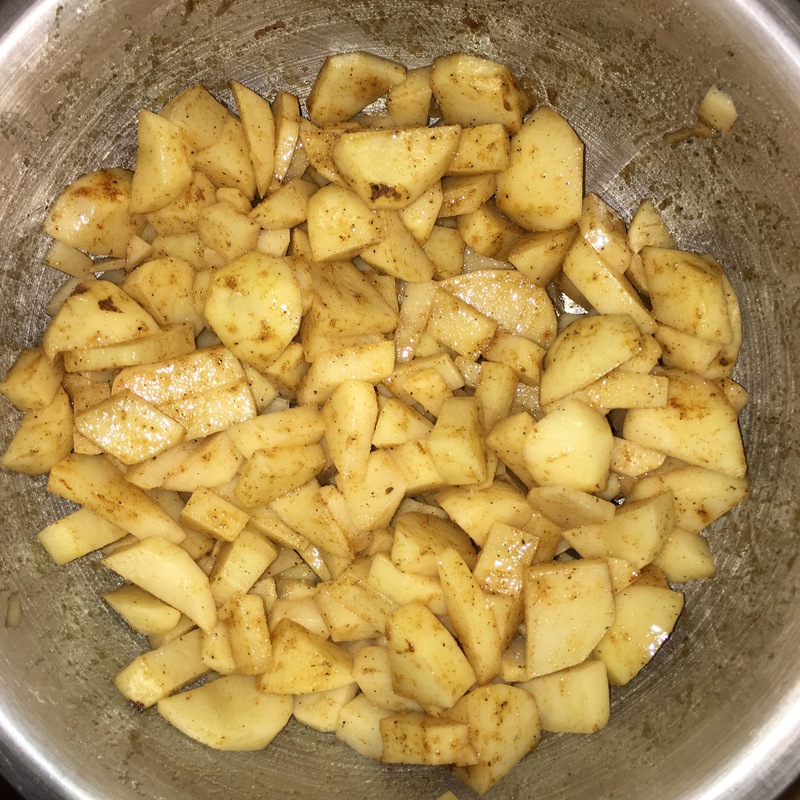 I do this first so once you finish with your fresh spices you can have your potatoes already ready to be tossed in. 3. 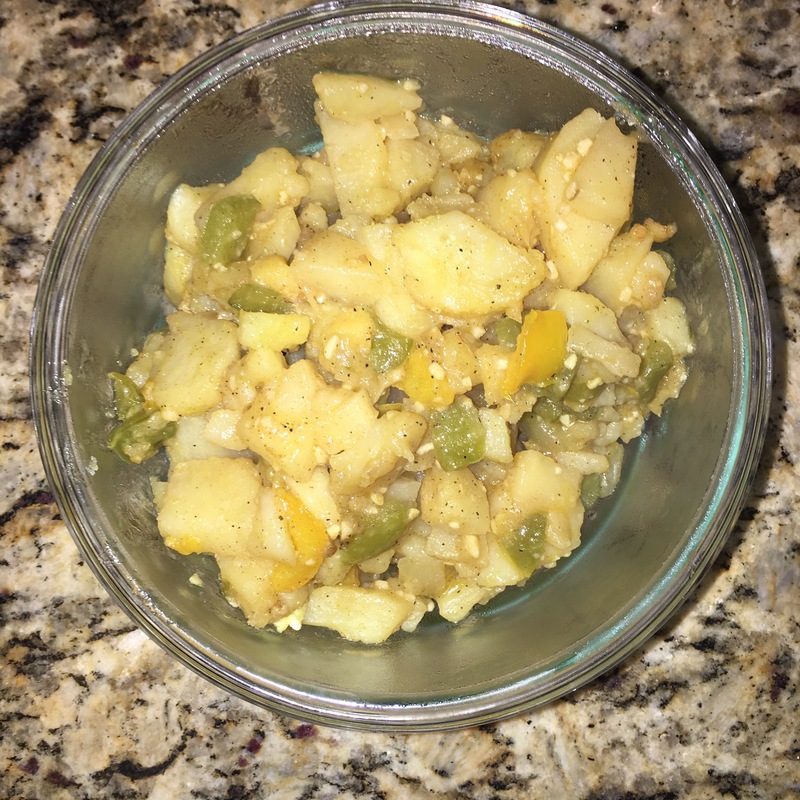 Toss potatoes in olive oil and season with the dry spices. 4. 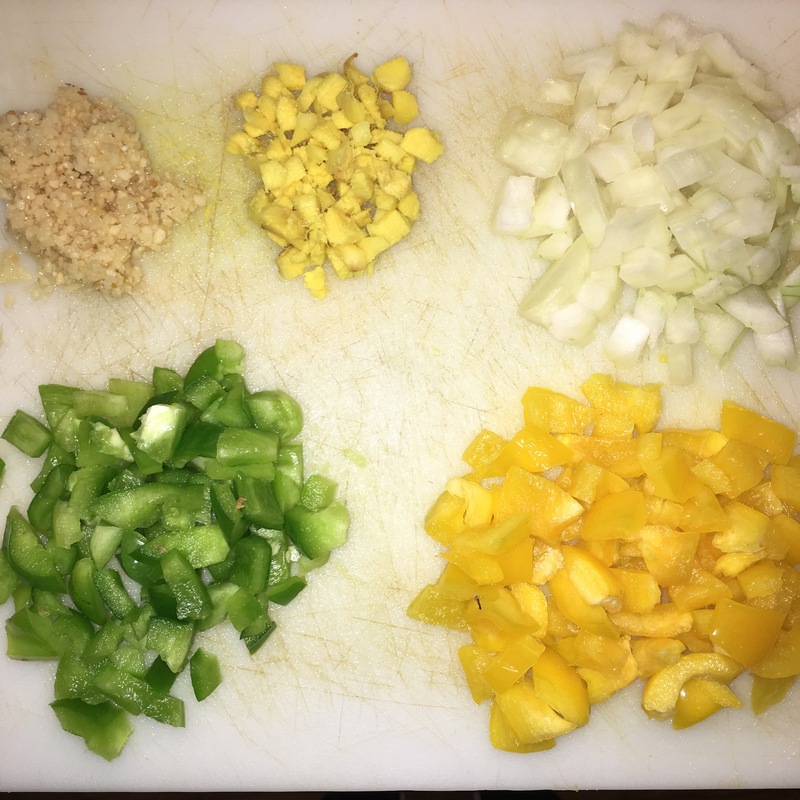 Mince fresh garlic, chop fresh ginger root into small pieces (you can also use a chopper to mince), chop onion, slice and chop both green and yellow pepper. In this same order you will add to skillet. 5. Add olive oil to skillet. Once heated, add garlic and ginger. Allow to sauté for about 1 minute. Add onions and allow to sauté for 2-3 minutes. 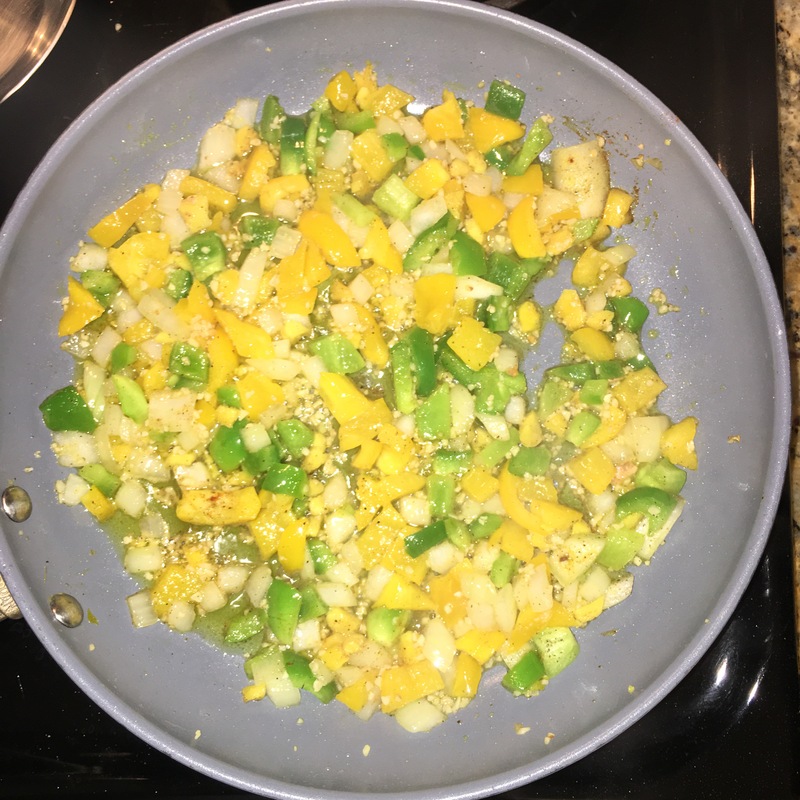 Add green pepper and yellow pepper. 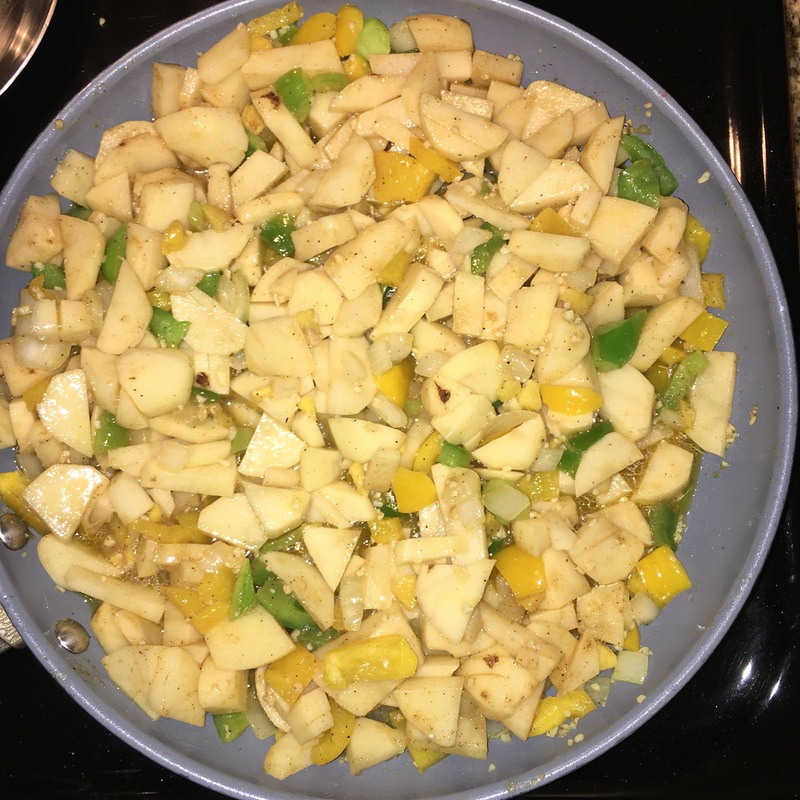 Allow to sauté and add the same seasoning added to potatoes. 6. Toss in your potatoes. Add 1/4-1/2 cup of water and cover. Allow to simmer and stir periodically. 7. After the potatoes soften uncover and place on low heat. Make your eggs and any other sides to your morning breakfast. 8. Enjoy! Chew slowly so you can taste the blend of spices giving the potatoes robust flavor. Save some and add to dinner. I think I will be eating Kale and Potatoes later. This post reminded me that I need a vegetable chopper in my life. Just ordered one on Amazon!